Spent the week working on a project that we have been wanting to do for a long time. 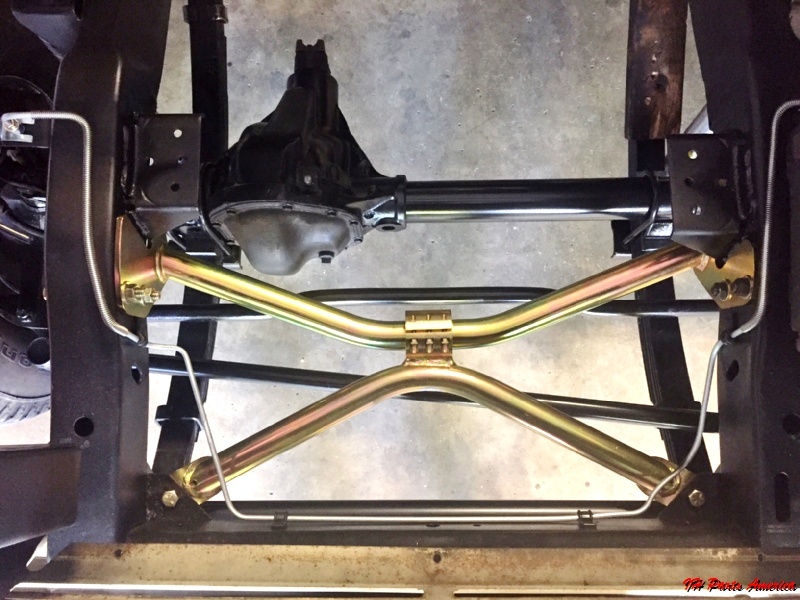 Introducing the CPT - Crawler Proven Technology front frame x brace for the 1971-80 Scout II, terra or traveler. 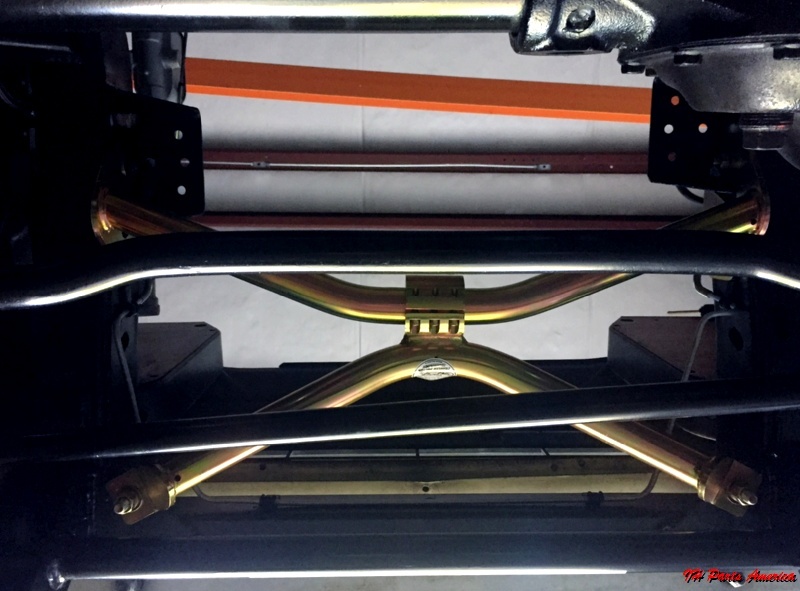 100% bolt-in using 1.5" .120 wall tubing and 1/4" mounting plates. 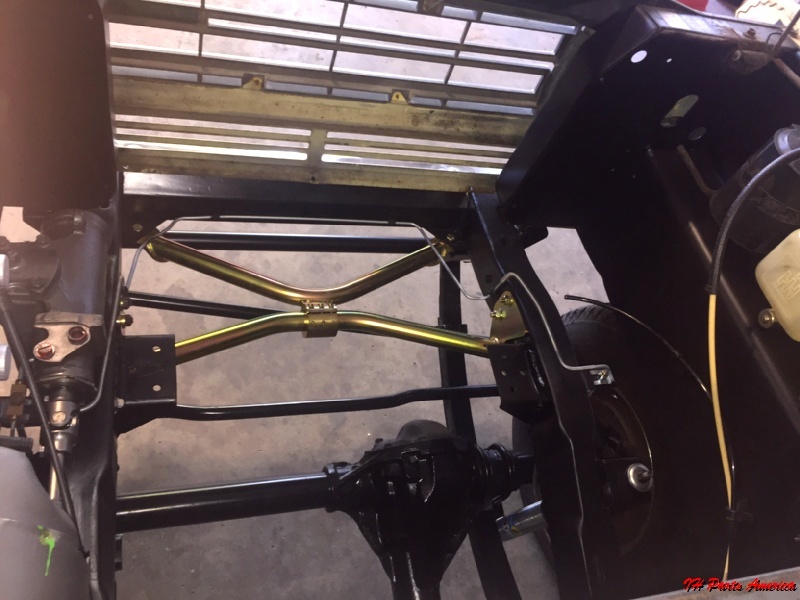 As a two piece design it will be available as a basic cross brace going across the frame rails at the steering box location. 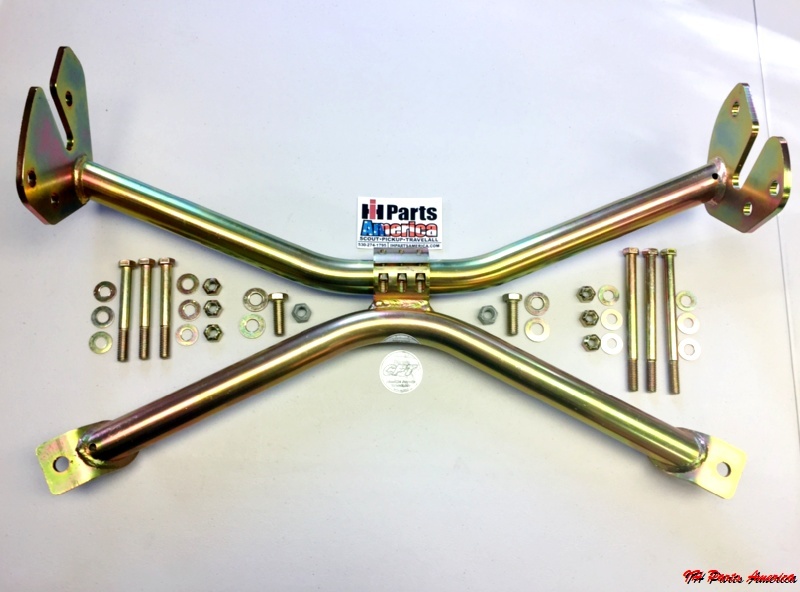 Or our deluxe version will add the front section to the cross brace turning the overall shape into that of a x adding an immense amount of rigidity to both the frame and steering box. Product availability set for July, 2017. Retail price not yet available. Last edited by ihpartsjeff; 01-30-2018 at 01:24 PM.. Sorry for the late reply as I just noticed this post. We have not tried installing one with the factory skid plate so at this time I do not have an answer for you. These are Now Available for purchase on our online store! Will it fit on a 78 scout2 with ls swap? If your LS engine is installed in roughly the same location as the IH engine, you should be good to go if you have a rear sump oil pan. 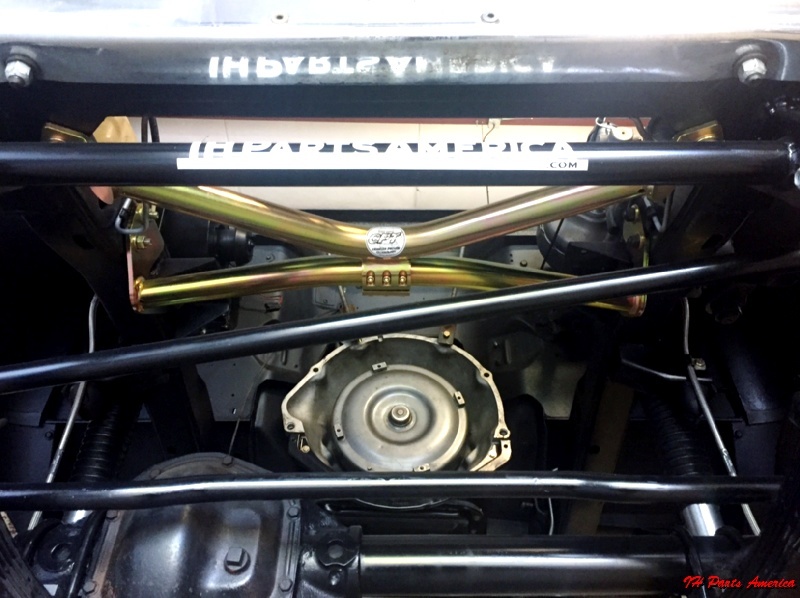 If the engine is lower in the frame and/or forward, then it may interfere with that brace. Thanks. Can this be installed with the engine in Place?